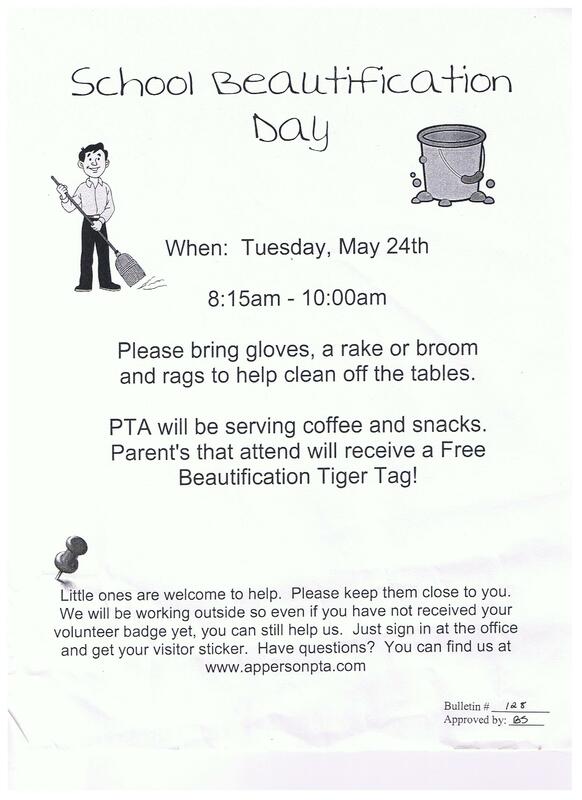 School Beautification Day is tomorrow! This entry was posted in Events, Virtual Backpack, Volunteers. Bookmark the permalink.